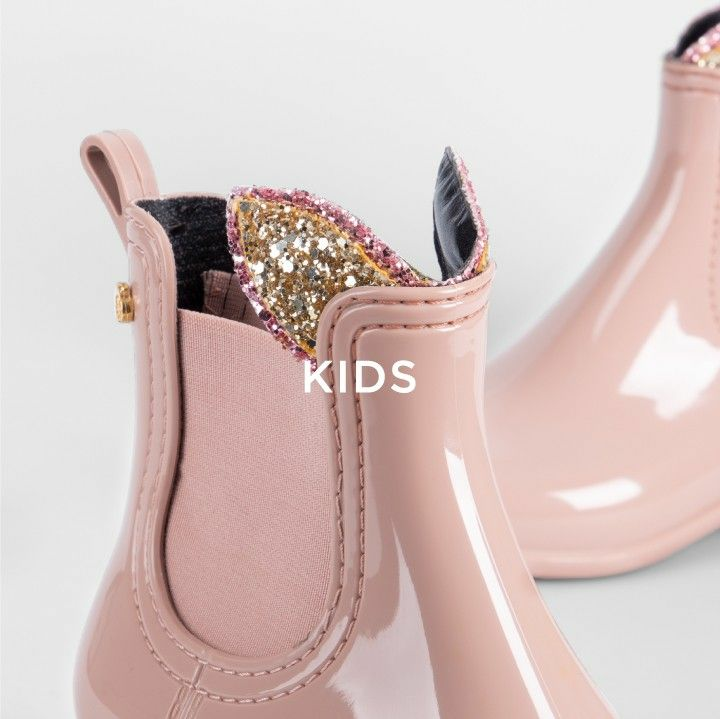 Some adults will be jealous. 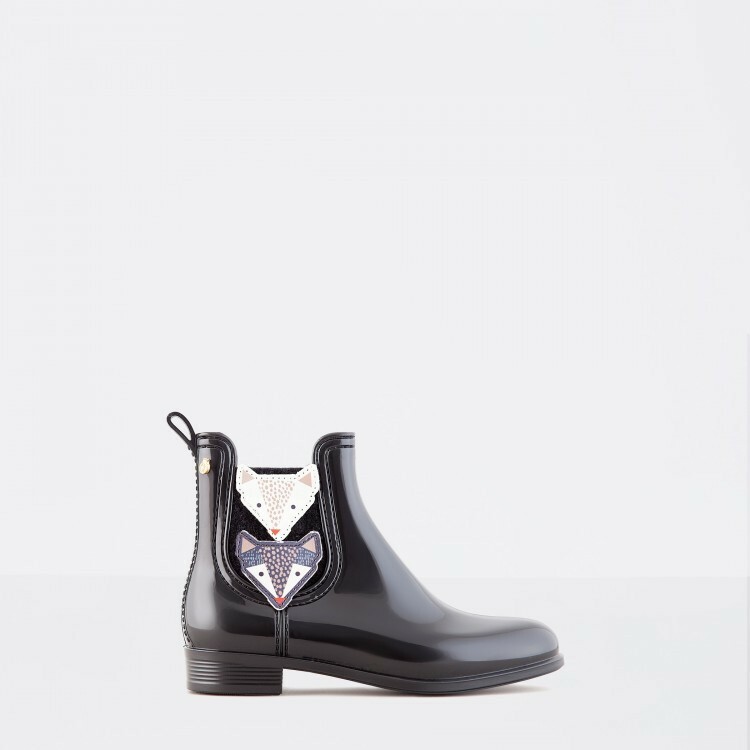 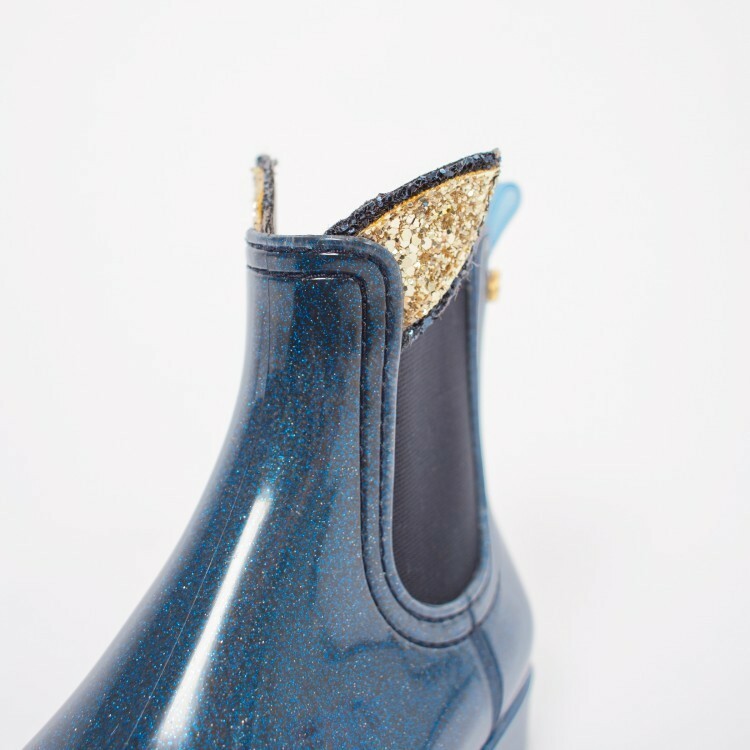 Chelsea style ankle boot with gorgous details! 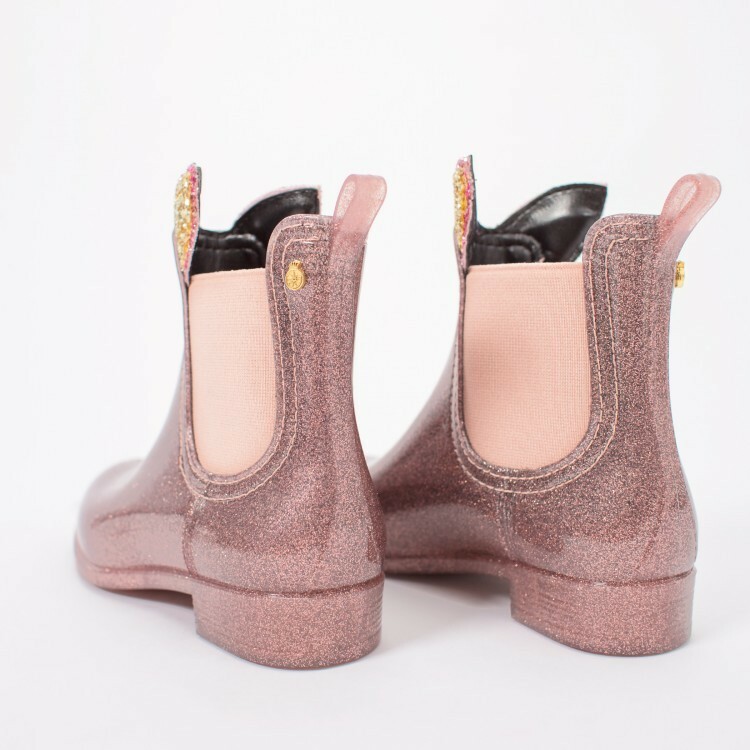 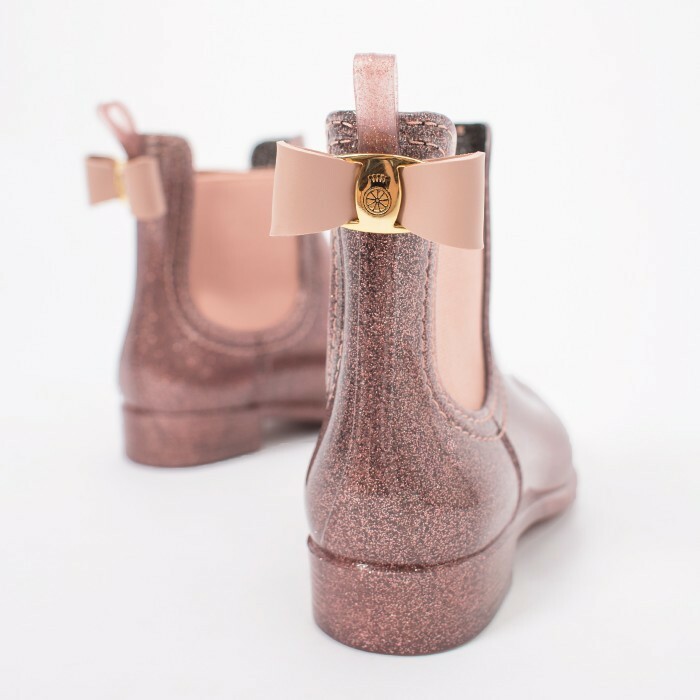 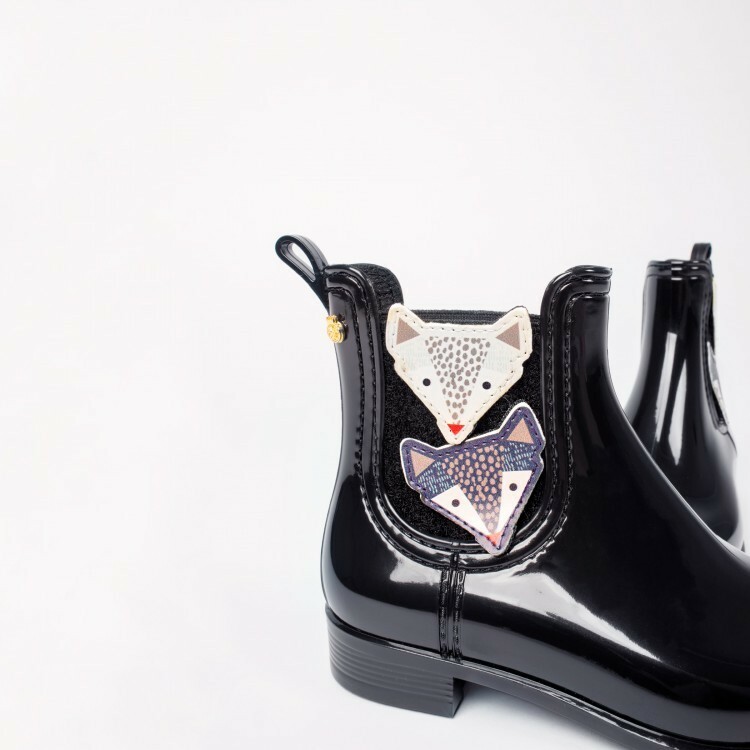 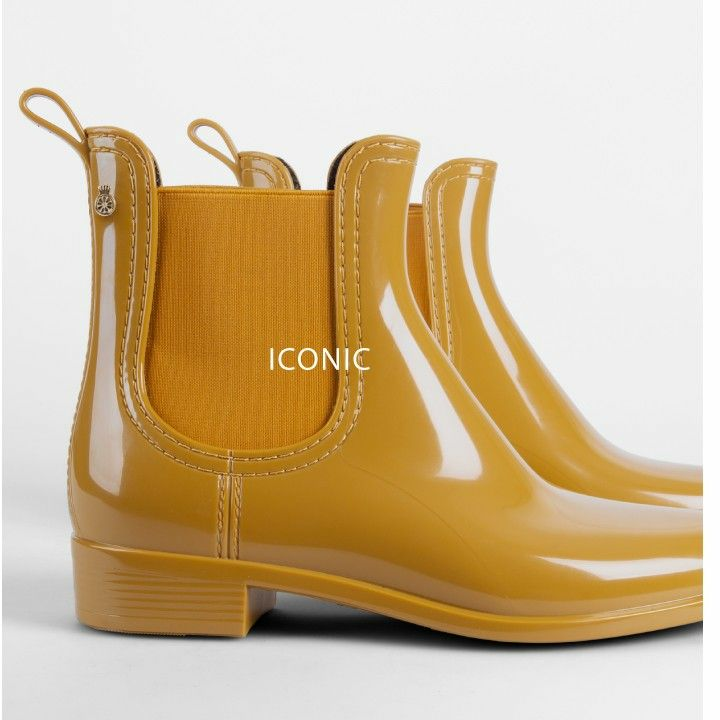 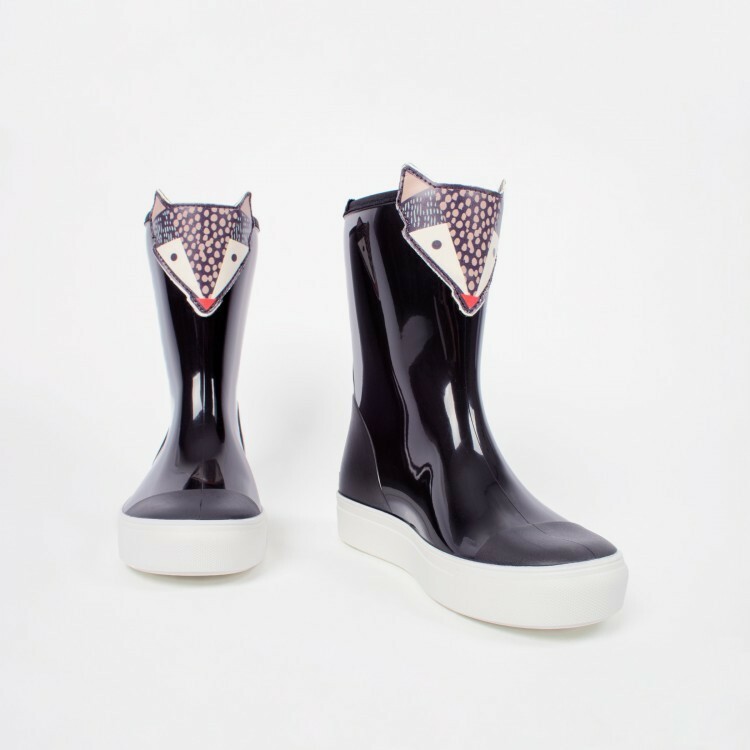 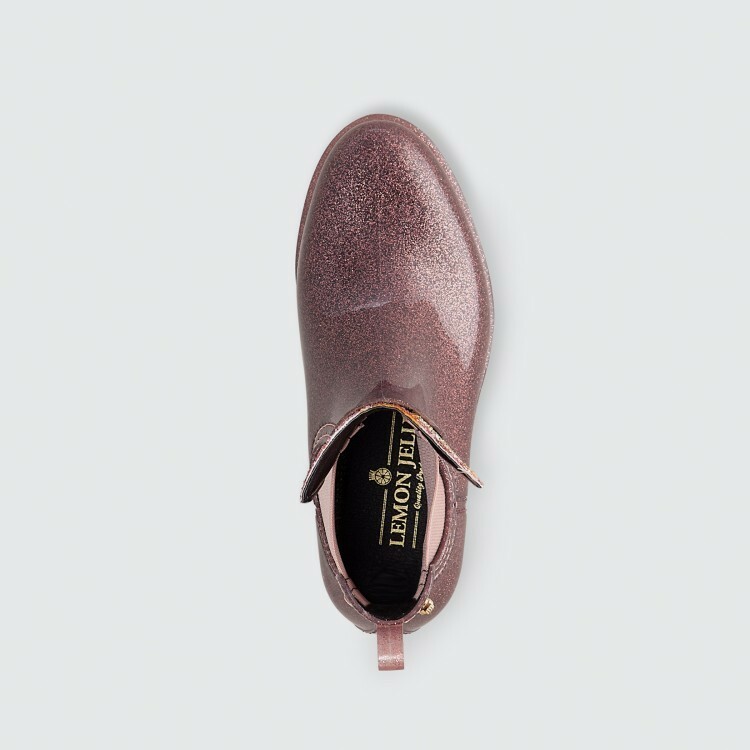 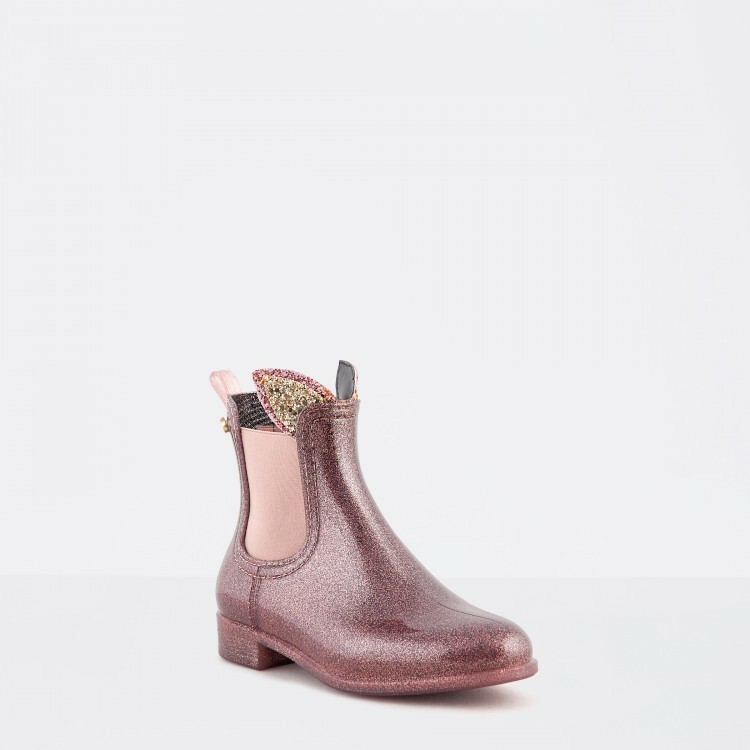 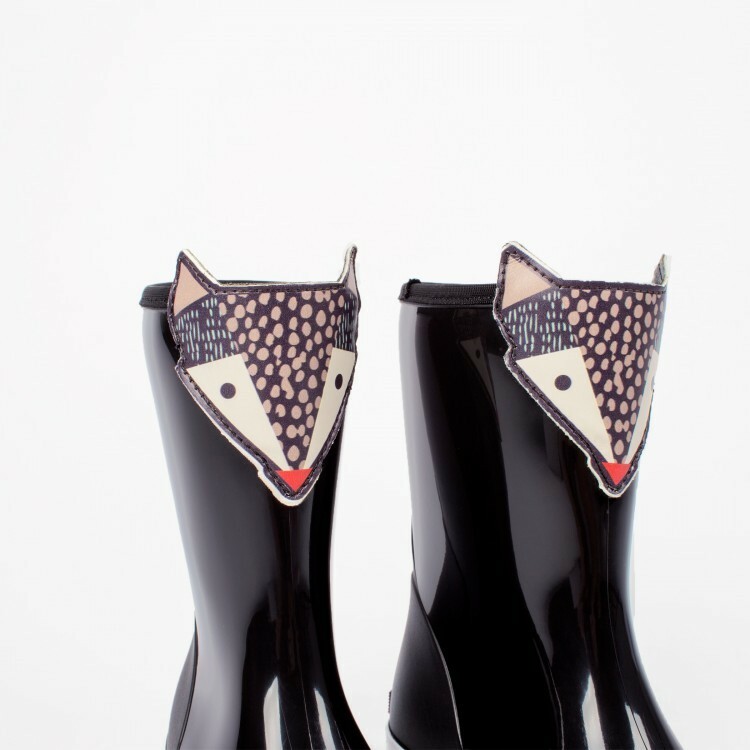 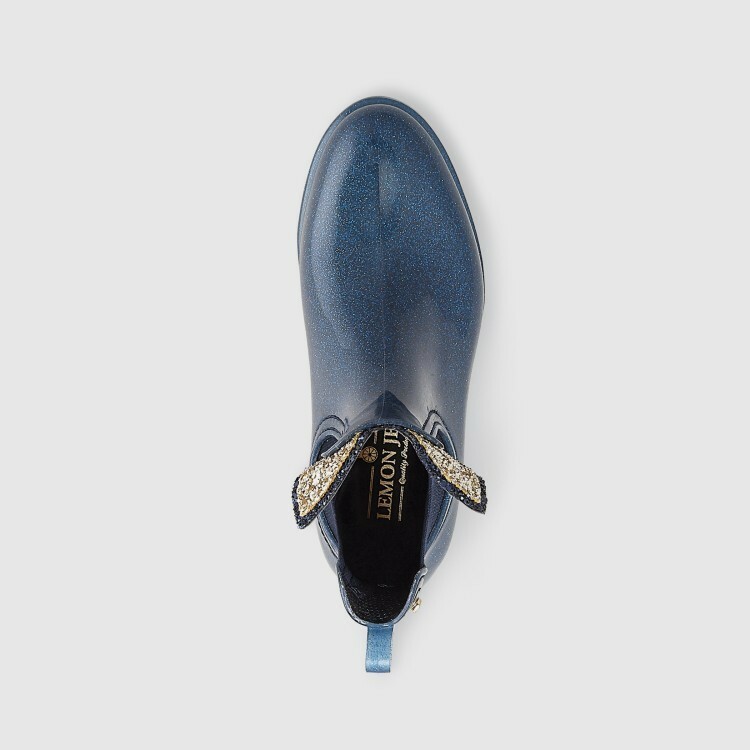 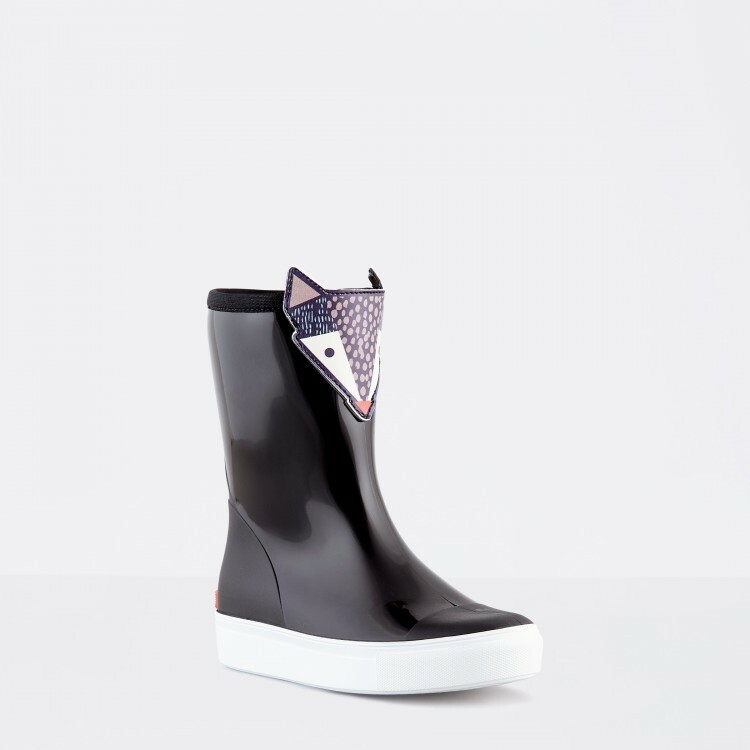 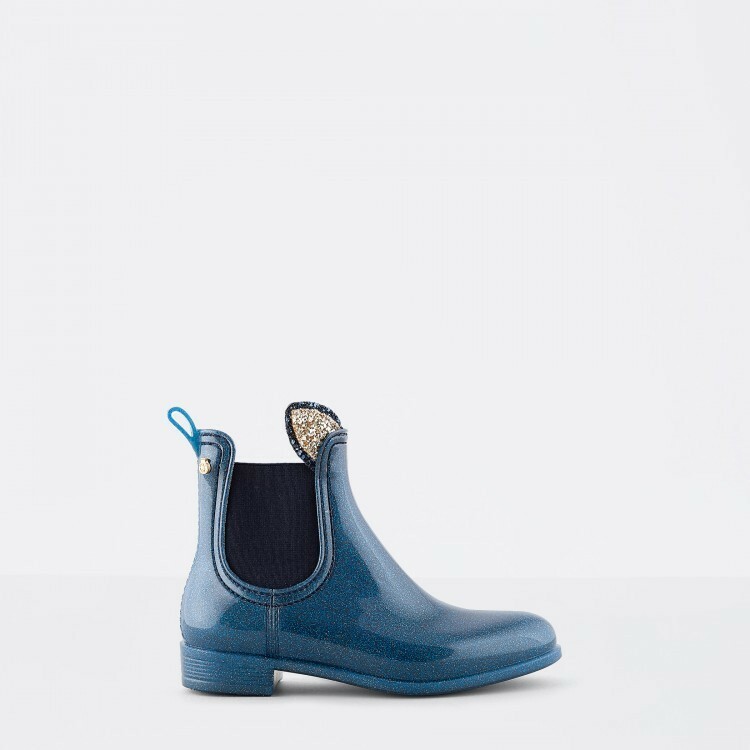 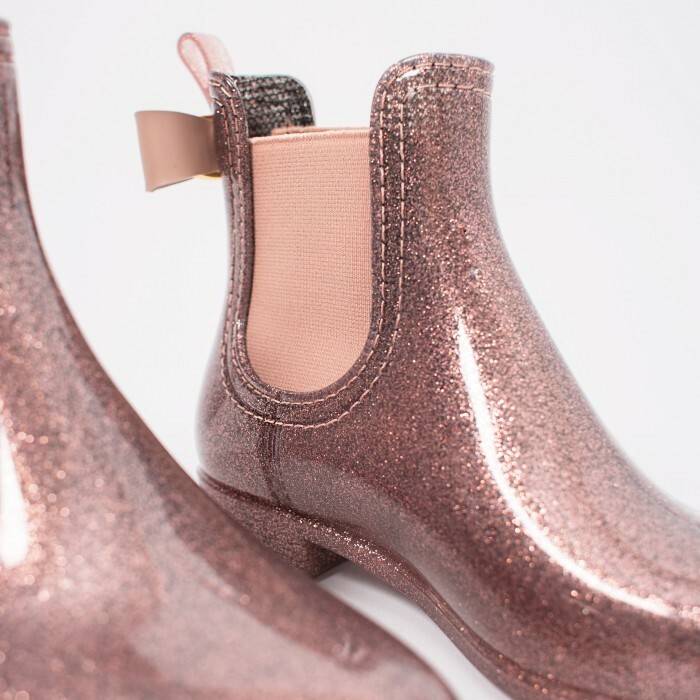 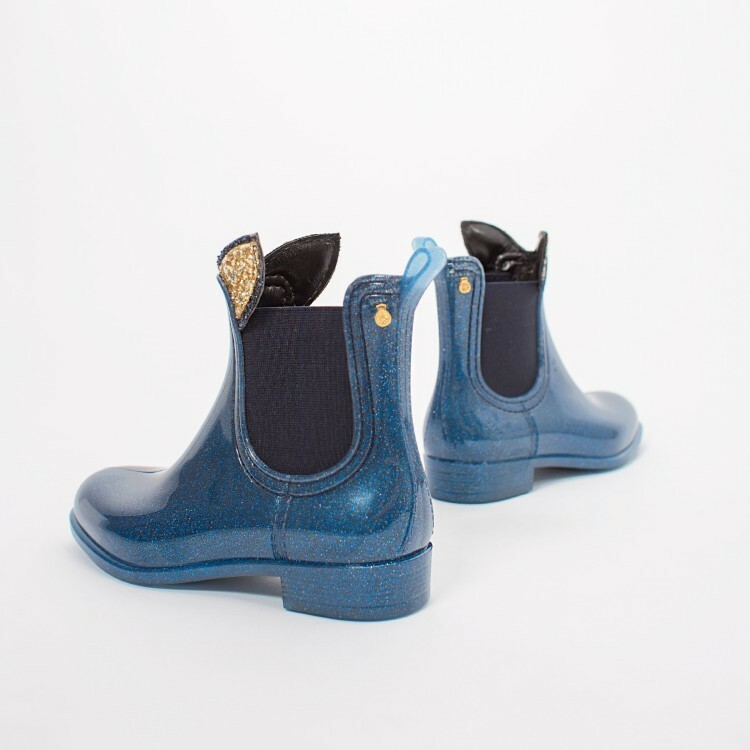 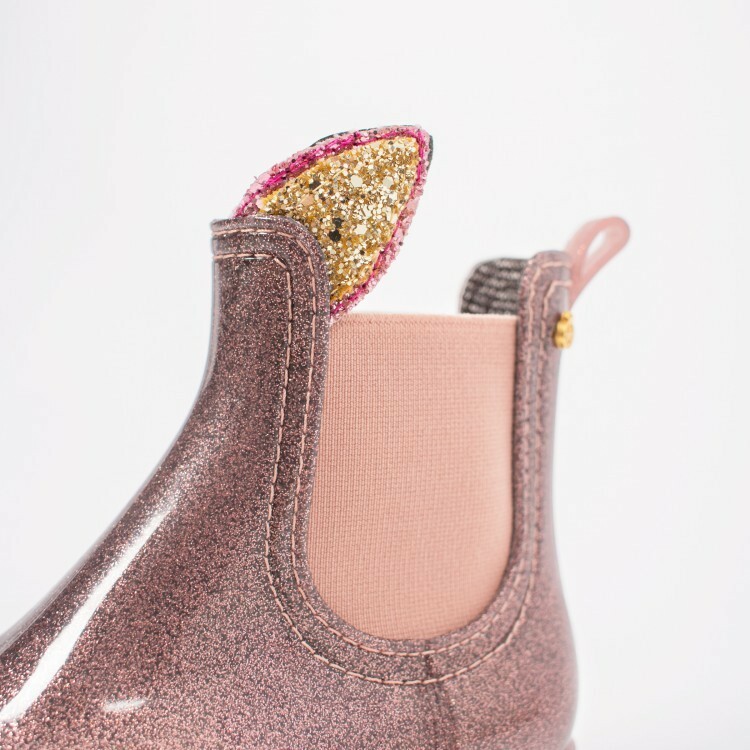 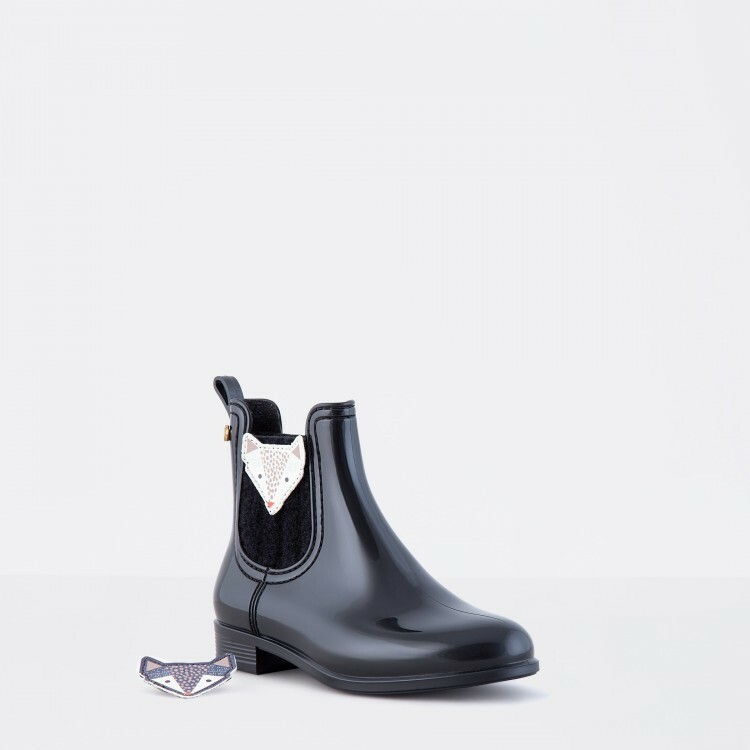 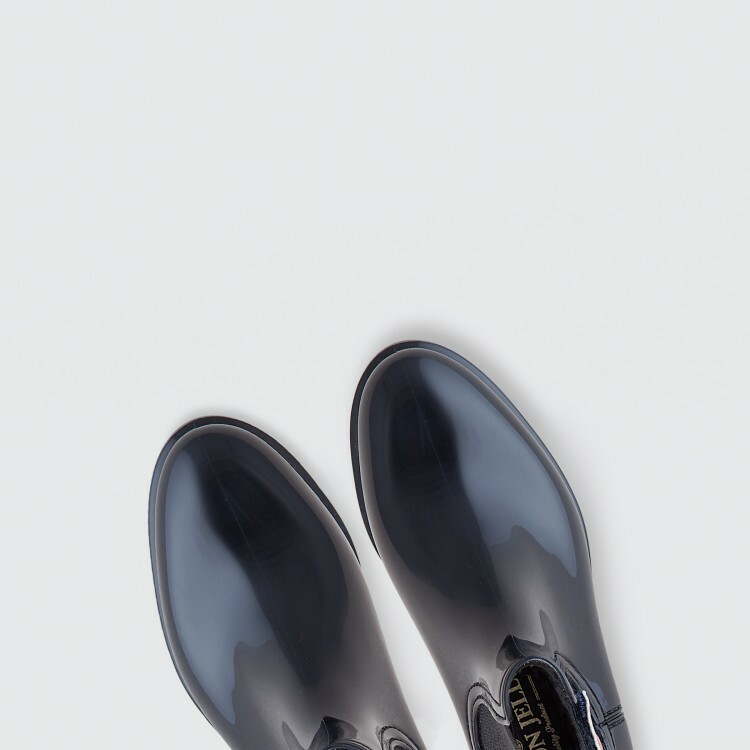 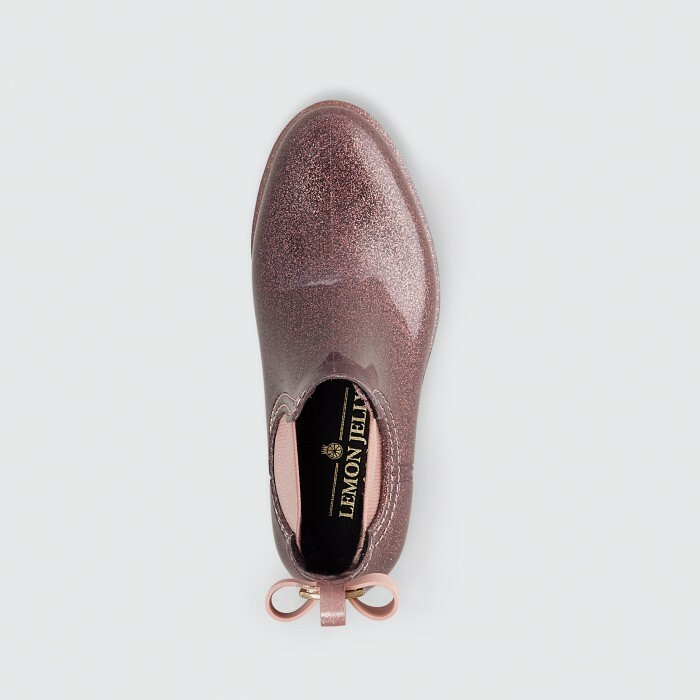 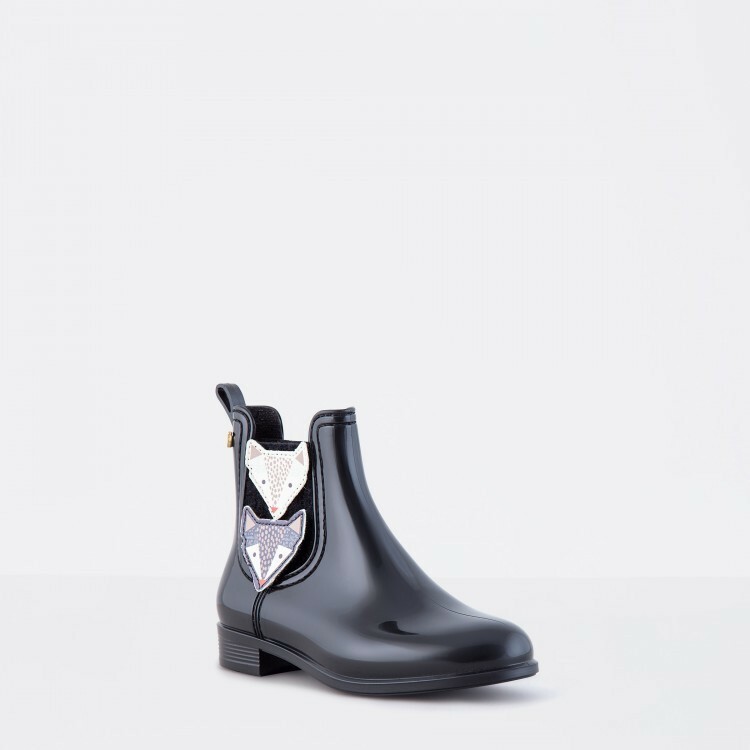 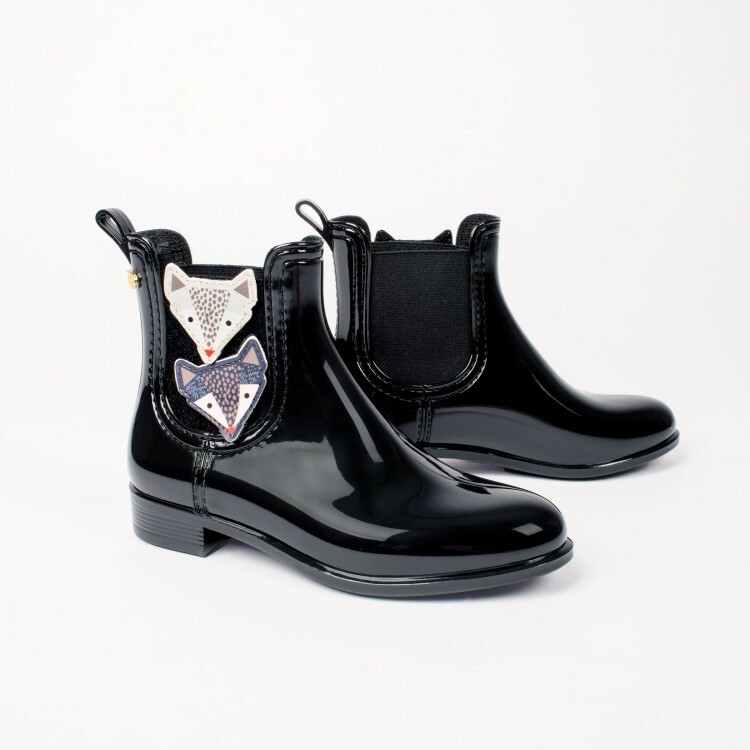 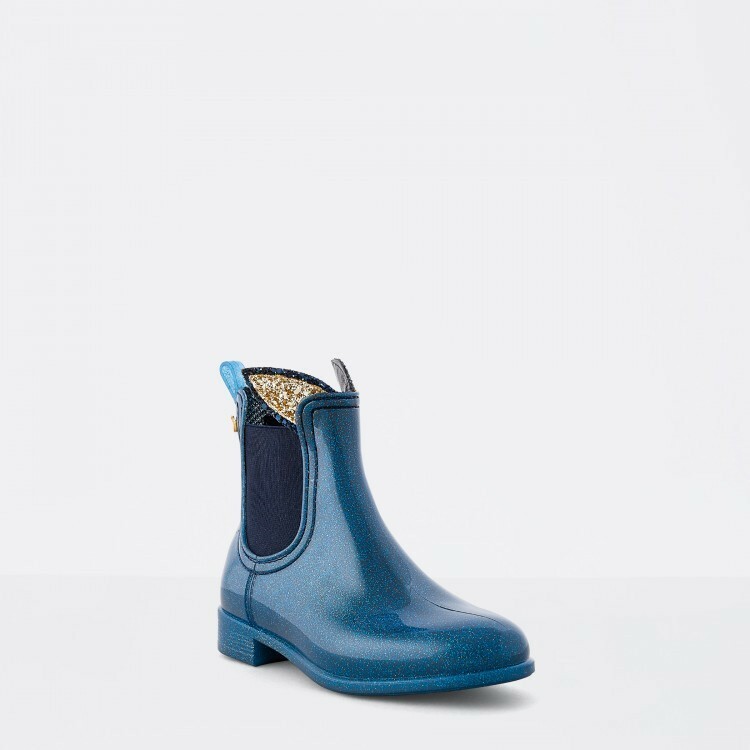 It has a transparent and glossy finish with a touch of glitter and it features a rubber ribbon applied in the back of the bootie which makes a difference for a super girly style.